Every once in awhile, I read a book and have to write the review as soon as I finish it. Generally that means it’s either very, very good, or it’s not. I usually give it a day or two to percolate and calm my initial impulse to write immediately. 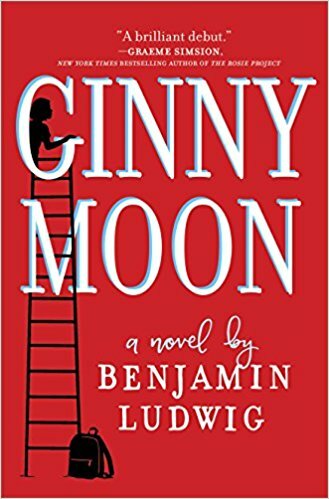 However, Ginny Moon by Benjamin Ludwig was such a great reading experience that I had to throw convention out the window and write it right away. Ginny Moon is a fourteen year old girl with autism who has been adopted into her “Forever Family” after being removed from her mother’s care because of dangers. Everything in her life is regimented just so. This is to keep her calm and functioning daily. If her day is interrupted, things can go downhill rather quickly. Her Forever Parents adopted Ginny because they seemingly could not have children of their own. However, once they completed the adoption, they find out they’re pregnant. As a means to ease Ginny into the idea of a new baby sister, they get a training doll for her. When Ginny hides the doll in a suitcase when it won’t stop crying, it releases some memories and drives Ginny to tell us the rest of the story. Through subterfuge, stealing, and setting up her own kidnapping, Ginny reconnects with her birth mother. She’s on a mission to ensure the safety of her Baby Doll, and she will do anything it takes to do exactly that. Sometimes that means getting in trouble at school and sending her Forever Parents to the point of exasperation. There are moments that Ginny’s future with the Moons is in jeopardy. This novel is told from the perspective of Ginny. While the narrative is told in a deadpan and droning delivery, there is a humor that belies her words and actions. I didn’t realize it, but taking everything literally can be quite hilarious. It closely examines the idioms we use each day, and how, at face value, they can be very confusing. While reading this book, I had many thoughts of what it could be like to be autistic. I did a few lookups about autism while I was reading just to make sure I was understanding what was going through Ginny’s head. I found myself asking my wife a few questions during and after reading this novel. As a teacher, she’s had some experience with some students who have viewed the world in the same manner as Ginny. Benjamin Ludwig’s debut novel will make you stop and think about how we look at other people and make judgments. This novel also details the struggles parents have and the long adjustment for the child involved. This is a heartwarming story on many levels. The reader attempts to understand Ginny’s thoughts from the beginning, slowly gaining an understanding of how she views the world, even if it’s only a glimpse. 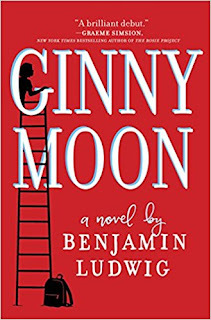 Ginny Moon by Benjamin Ludwig was a great book that I could not put down. I read the whole thing in two, two-hour sittings. While there were several things that I figured out well in advance, it was still a page turner that kept me wanting more. Craig Bacon now has to read The Curious Incident of the Dog in the Night-Time. At least that’s what Wendy says. And the librarians at the Lockport Library. They’re the experts, so I guess that’s on the list for this summer.